There are quite a few feature phones on the market aimed at the entry-level crowd. 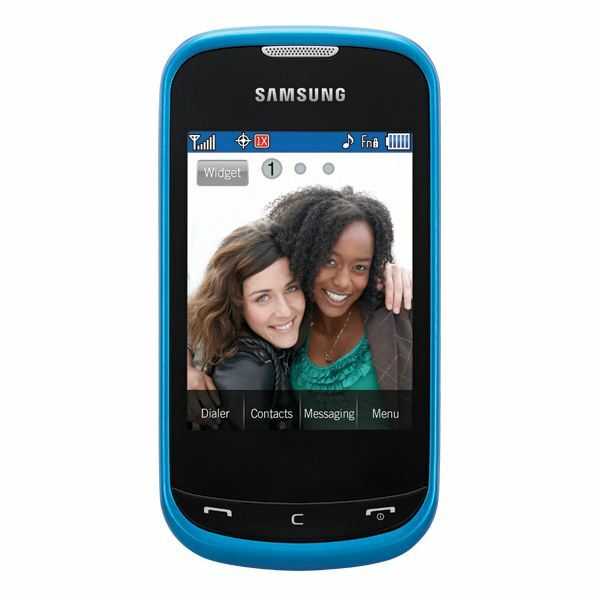 The Samsung Character is supposed to be an ideal first phone for teens. 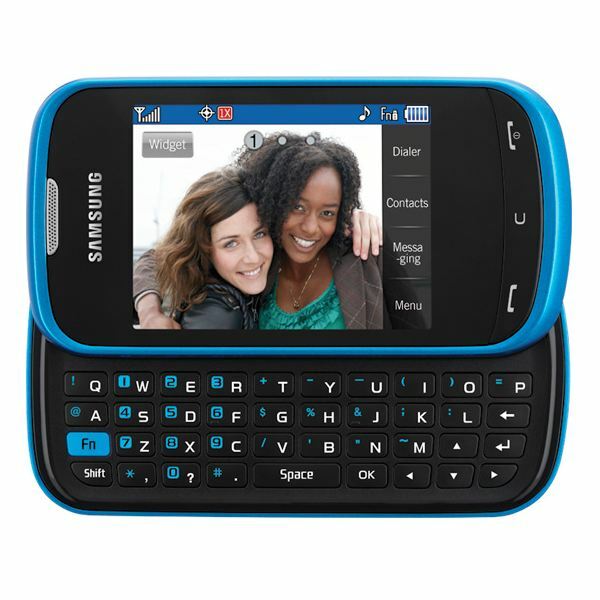 This is evident thanks to the bright blue or grey color scheme and the focus on texting and social messaging supported by the physical QWERTY keyboard. It’s a fairly chunky phone with a limited set of features and sadly it runs a proprietary OS. The only big plus point here is the low price. The Samsung Character is 4.2 x 2.18 x 0.58 inches and it weighs 4.2 ounces. There’s a side sliding full physical QWERTY keyboard and a 2.8 inch TFT touch screen with a resolution of 240 x 320 pixels and support for 262,000 colors. It is a typical candy bar design with rounded corners and a textured back for easy grip. You’ve got Talk, Clear and End Call/Power buttons below the screen. There’s a volume rocker on the left spine, a micro USB port on the bottom and an unlock button, along with a dedicated camera button on the right spine. On the back you’ll find the camera lens and you can remove the cover to access the microSD card slot. There’s also a 3.5mm headphone jack on the top. The UI is Samsung’s TouchWiz Lite and it is very easy to use. There are three home screens and four shortcuts sit at the bottom of the touch screen for Dialer, Contacts, Messaging and Menu. There’s also a widget bar and you can drag the icons you want onto the home screens. There’s no on screen keyboard so you’ll have to slide out the physical keyboard to type. It is well made with decently spaced keys and you should find it easy to type quickly and accurately. You can swipe through the home screens easily enough, although it isn’t exactly speedy, and there’s a search function so you can find whatever you are looking for without scanning through the menu icon grid. The features on the Samsung Character are extremely limited. 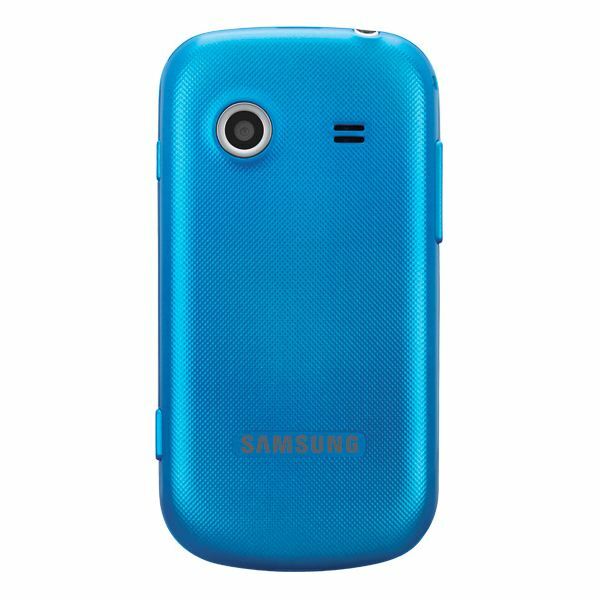 It is a CDMA phone with 2G and 3G support and it won’t work on a GSM network. There’s a 1,000 entry phonebook with multiple number slots, email and notes. You can also add picture ID and ringtones to your contacts and group them if you like. The basics are all here including a calculator, alarm function, calendar, stop watch and timer and a few more besides. You also get some basic apps for social networking and music. Bluetooth 2.1 is supported but there is no Wi-Fi. The basic Internet browser is not ideal; it is pretty slow, images often won’t load and, because there’s no Wi-Fi support, you aren’t going to want to use it very often. There also doesn’t seem to be a dedicated email app. The camera is awful. Seriously 1.3 megapixels in this day and age is simply not up to scratch. There are loads of options and you can edit shots after you capture them, but the maximum resolution of 1280 x 1024 pixels is a disappointment. There’s no flash and no support for video recording. It does support up to a 32 GB microSD card and coupled with the 3.5mm headphone jack that makes it a decent MP3 player alternative. In fact it only supports the MP3 and AAC+ audio formats. It can also handle MP4 videos. Additional features worth mentioning include a speakerphone function and voice commands. There’s nothing wrong with the call quality; voices are loud and clear. The speakerphone is too quiet so you’ll need to bump up the volume and that results in some distortion. The battery capacity is only 1,000 mAh, but then the phone doesn’t do much, so you’re looking at around 5 hours of talk time and around 17 days of standby on a full charge. The Samsung Character is going to cost you $39.99 after a $50 mail-in rebate and you’re obviously going to need a contract with that as well. It is fairly cheap, but when you examine what’s on offer here it really needs to be. If you’re a parent looking to buy a first phone for your teen then I can’t help feeling that a budget Android option would make a lot more sense. For just a little more money you’ll get Wi-Fi support which will save on data use and your teen will have access to a wide range of free apps and games. They’ll also get a much better web browsing experience and real social networking integration, not to mention email support and a decent camera. If you just want a phone for calls, texting and maybe listening to music then the Character might suit you. If you want more than that then keep looking. It’s worth taking a look at the user reviews on the US Cellular website to see what people are saying about this phone before you take the leap and buy one.